There is less than a month left to view the Bodleian Libraries’ once-in-a-generation exhibition, Tolkien: Maker of Middle-Earth, which closes on Sunday 28 October. Since it opened on June 1st, the exhibition has welcomed over 100,000 visitors from around the world, making it the Bodleian’s most popular summer exhibition to date. Presenting the most extensive collection of materials relating to J.R.R. Tolkien known to have been gathered for public display, the exhibition offers a stunning illumination of the author’s life. Glimpses of his unique literary imagination are offered alongside insights into his work as an artist, medievalist and scholar of languages, with more than 200 items on display, including never-before-seen illustrations, draft manuscripts, letters, personal objects, and fan mail. The collection has drawn widespread commendation, with The Sunday Telegraph’s five-star review praising it as an “immersive experience”, The Spectator describing it as an exhibition that “gives us the real Tolkien”, and even the US-based Wall Street Journal praising the exhibitions’ wide range of rough sketches and maps, which “allow us to enter his creative process”. 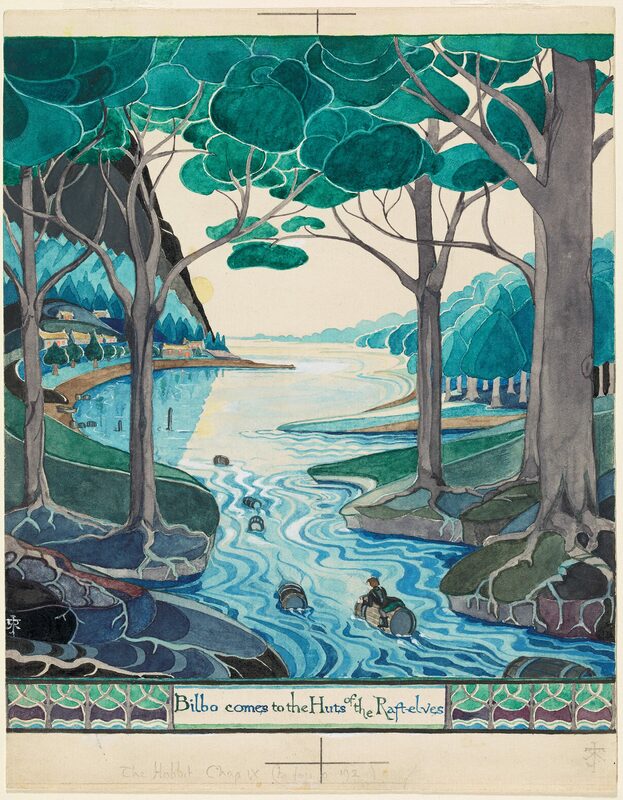 Once the exhibition closes at the Weston Library, Tolkien: Maker of Middle-Earth transfers to the Morgan Library, New York, from 25 January to 12 May 2019. In late 2019, the Bodleian Libraries and Bibliothèque nationale de France (BNF), Paris will collaborate on the largest Tolkien exhibition ever to be held in France, and the first BNF exhibition to ever be held on a non-French author.